for RealAudio comments by the composer, 4:23. 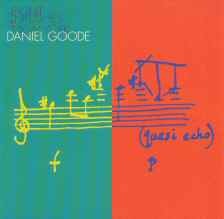 Daniel Goode, composer and clarinetist, was born in New York, 1936, studied philosophy, and then music with Henry Cowell, Otto Luening, Pauline Oliveros and Kenneth Gaburo. 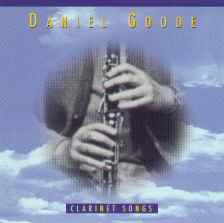 Innovative music for solo clarinet includes Circular Thoughts (1974, Theodore Presser; cassette: Frog Peak Music) and Clarinet Songs (1979-91), released in 1993, on the XI label. Performer and composer with Gamelan Son of Lion since 1976 his gamelan works are recorded on Folkways (Gamelan in the New World vol.1 & 2). A book of writings, From Notebooks, and of music, One Page Pieces are available from Frog Peak Music (Lebanon, NH). Solo, ensemble and intermedia works have been performed throughout the U.S., in Canada, England, Australia, western and eastern Europe, and Japan. 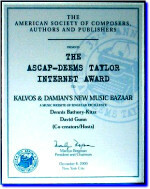 Scores and essays are published in many anthologies and magazines of new music. The Thrush from Upper Dunakyn for solo bass recorder is recorded on Opus One records. 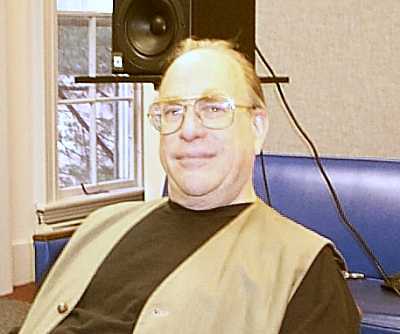 He was the Director of the Electronic Music Studio of Rutgers University (1971-1998) and is co-director of the DownTown Ensemble which he co-founded in New York in 1983. Tunnel-Funnel, a 34- minute piece for 15 instruments was performed at the NEW MUSIC AMERICA 1989 Festival and again at the 1996 BANG ON A CAN FESTIVAL (recorded 1997, Tzadik). He was represented in the 1991 (with Fiddle Studies) and 1992 BANG ON A CAN festivals and at the 1994 Pfeifen im Walde festival in Berlin. In July of 1996 he was part of Gamelan Son of Lions tour of Java, playing in his Eine Kleine Gamelan Music at the Second Yogyakarta International Gamelan Festival, and in other concerts in Java. In September, as an ArtsLink Fellow, he performed with musicians of the Belgrade Philharmonic and traditional folkloric musicians of Serbia, his thirty minute piece, Eight Thrushes, Bagpipe and Accordion.